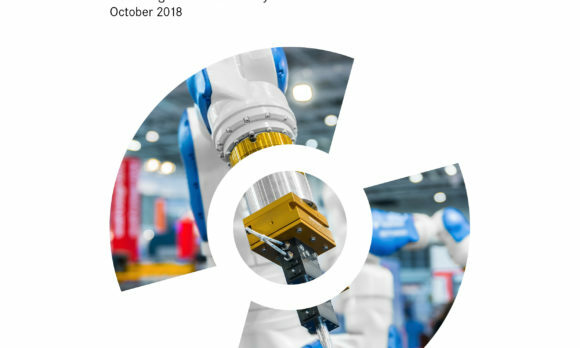 Despite the Chancellor’s rhetoric about ‘preparing our nation for the technological change ahead’ and ‘austerity coming to an end’, there wasn’t a great deal in his Budget to help ensure workers are ‘robot-ready’. The jobs we do and the skills we need to do them have changed considerably over the last 10 years and will continue to do so over the next decade. Yet two-thirds of the 2030 workforce has already been through compulsory education and is not accessing the lifelong learning opportunities that could help them to stay ahead of the curve as jobs change or are displaced. Without investment and a change in the way the skills system works, many people are more likely to be replaced by robots than will benefit from them. And critically, while the Chancellor talked of backing places across the UK, it will be the cities where higher proportions of people are already unemployed, unskilled and in low wage jobs that will be further disadvantaged. Ensuring workers have skills for the future requires investment. Yet public investment in adult skills – a key part of lifelong learning – has been slashed in recent years. Spending on adult further education (FE) and skills (via the Adult Skills Budget, ASB) fell by about a third (32%) in cash terms between 2010-11 and 2015-16. Take out apprenticeships and spending on adult skills fell by 54% over that same time period. The cuts have been so significant that colleges are struggling to attract a viable number of people to run courses – giving rise to a situation where there is now underspend in the system. Following budget cuts and the introduction of Advanced Learner Loans, the number of adults in further education has fallen in every city in England by 31 per cent on average between 2012/13 and 2016/17. Every city has seen a fall at level 2 (equivalent to GCSE A*-C) and the majority at level 3 (A-level). Some of the largest falls in participation have been in the cities most exposed to job losses as a result of automation. In Stoke, where a quarter of jobs are in occupations most at risk, adult participation in FE has fallen by nearly 40 per cent. Participation in level 2 courses has fallen particularly sharply in these cities: in Sunderland, where 1 in 3 jobs is at risk of automation, the share of adults participating in level 2 courses has more than halved. The OECD predicts that only workers with very strong literacy and numeracy skills will be more proficient than computers in 10 to 20 years’ time. Yet nine million adults lack basic literacy or numeracy skills, and participation in English and Maths courses that develop these essential skills has fallen in every city, on average by around a quarter. Many people have benefited from the expansion of apprenticeships as part of the longer-term shift towards work-based as opposed to classroom-based learning. But in recent years, the number of apprenticeship starts has been relatively stable and since the introduction of the levy, they’ve fallen significantly. In Barnsley, where apprenticeships are relatively popular, the number of people aged over 19 starting apprenticeships fell by eight per cent between 2012/13 and 2016/17, while those participating in FE fell by 30 per cent. Overall rates of job-related training are in decline too. The share of people in cities undertaking job-related training fell by 16 per cent between 2004 and 2017. The falls in adult education and work-based training are likely to have bigger ramifications in the cities where FE and apprenticeships have historically played a much larger role in education and training compared to universities – the places where the impacts of automation are likely to be felt hardest. The extent to which people and places benefit from technological change – or get left further behind by it – depends on the extent to which people have opportunities to reskill and upskill. While there’s nothing inevitable about the impacts robots and AI will have, current trends risk divides widening. Next year’s spending review needs to ensure there is a significant increase in funding for FE to allow people across the country to participate in lifelong learning – both to ensure that people keep pace with change and that existing socio-economic divides don’t widen further. It’s likely a more progressive and cost-effective policy than the proposed reductions in university tuition fees. More money is necessary but not sufficient. The Government also needs to give local leaders the levers and mechanisms to ensure training provision is more demand-led. More flexibility at the local level would create room for bottom-up experimentation to find out what works to increase participation and improve outcomes in adult education. The promised devolution of the Adult Education Budget will open up those opportunities, and it is essential that the government follows through on this. But it cannot stop there. If people across the country are to thrive in the future of work the government must act.